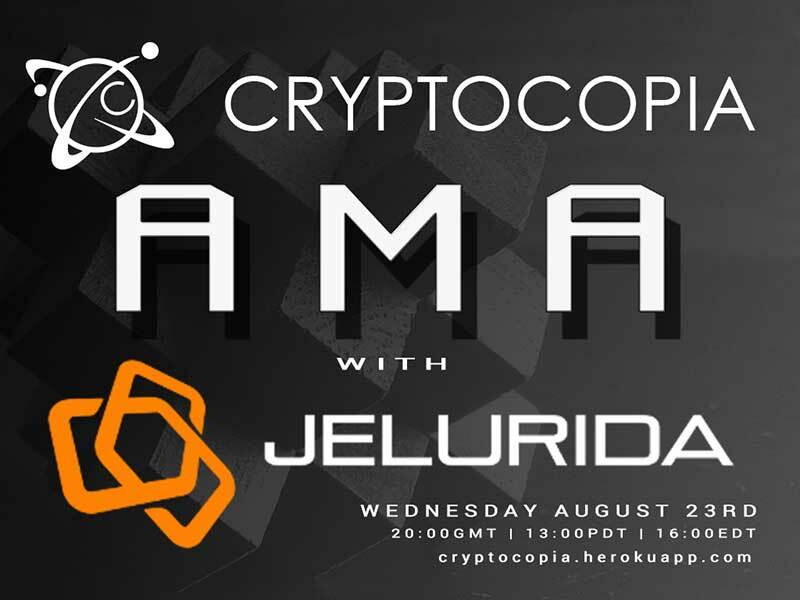 For those of you who do not know, a semi-private AMA (Ask Me Anything) session with Jelurida occurred on the Cryptocopia Slack last Wednesday, August 23rd at 22:00 CEST. Jelurida spoke at length with the community, answering many questions about the now-in-progress, IGNIS ICO, Nxt, the blockchain, and much more. Only registered members of the Cryptocopia community could participate, but since we are so well connected we have you covered! Cryptocopia’s registration-page has been offline ever since they made the AMA announcement, but here we give you an abbreviated, “best of” version that has all the relevant information and highlights that you need to know. Hello, and welcome! The Jelurida AMA is starting now! Hi! My name is Petko Petkov. I am a software developer. I’m contributing to NXT since Jan 2015. Then participated in the design and the development of the Ardor platform. I am also a software developer, with more than 15 years of experience. I survived the dot-com crash, worked for a few companies in the Silicon Valley, then for a small startup, then became interested in crypto and Nxt in particular a few years ago. Now I am a part of the core Nxt development team. The other core developer, Lior Yaffe, unfortunately couldn’t attend this AMA tonight as he is not feeling well. Lior Yaffe is a very talented developer and also lately doing a big part of the project management. I am not a developer and before becoming interested in cryptocurrencies and blockchain technology I have been working as a legal advisor. I have been following Nxt from its very beginning and when Jelurida was created last year I became an official part of the team because the developers were looking for somebody to take care of organizational, administrative and legal tasks. Now, with the company growing bigger and the upcoming launch of Ardor, I am fully occupied with work and 100% devoted to it. What will happen with NXT? I know that we’ve gone through several stages in the transition of NXT to IGNIS and ARDOR. Could you explain at a high level what is happening with NXT for those who do not know much about it? Ardor can be considered Nxt 2.0, because it is being built using proven Nxt technology. The Nxt public blockchain, and software, will continue to exist and be maintained by Jelurida. There were quite a few technical reasons why Ardor had to be started as a separate platform, and it wasn’t possible to just upgrade Nxt to it. NXT is an open-source project and POS-based cryptocurrency. We are planning to continue maintaining it, but after all, its the NXT stakeholders who decide whether to use the software we develop. So, there is no actual transition – we had the idea about Ardor and decided to work on it. NXT will continue to exist one way or another. As @kristina explained, there are technical reasons that prevent us from upgrading NXT to Ardor. But we distributed the Ardor tokens to the NXT stakeholders at 1:1 ratio. 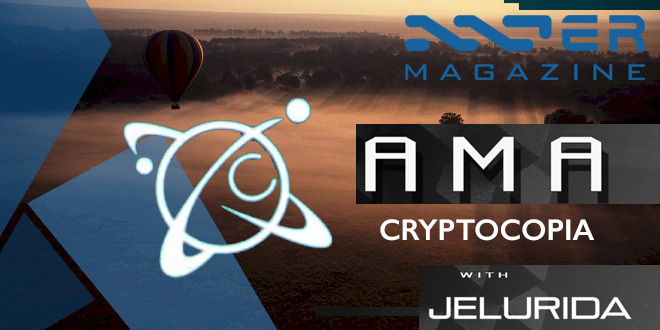 With the development of ardor and jlrda, do you see nxt eventually dying out from lack of support and development? We have promised to support Nxt for at least a year, or longer, depending on the funding level obtained in the ICO, and depending on the demand for it. We will also backport features from Ardor to Nxt, if we can hire enough developers to dedicate to that. We expect that Nxt will stay as the stable, well tested and reliable platform. And not all use cases need Ardor with its multiple child chains (which also brings complexity). please remember that Nxt is a proven and stable blockchain with a large variety of features, a platform well suited for ICOs for example which is a functionality we plan to further enhance. What is the development like for Jelurida? Do you work remotely, or do you have an office where you meet? We don’t have an office, working remotely all the time. We do plan to establish a physical office however, depending on the success level of our ICO. What are the upcoming tasks that the Jelurida team is focusing on in the short term? After our ICO is over the snapshot will follow and of course the launch of the Ardor platform. How many people are working full-time on the project? 4 (3 developers and myself) + 2 part time developers. How do you plan to generate revenue and when do you foresee to become profitable? We have several possible sources of revenue – licensing of the software for private blockchains, child chain creation, and revenue sharing with businesses that run child chains, consulting, custom wallet creation. Other minor revenue sources are listed in the whitepaper. We aim to become profitable and self sustainable by the end of 2018. How much funds do you expect to need until the end of 2018 to survive? what we have collected already is enough to survive until the end of 2018. So what’s your reason to collect even more money? For two reasons: we have a detailed plan how we can utilize the funds up to €50M. And because we exist in a very fast growing field where our competitors raise/have raised millions which they are using for marketing and because we cannot allow a technology with such a great potential not to succeed. In section V3 of the white paper, (https://www.jelurida.com/sites/default/files/JeluridaWhitepaper.pdf) Jelurida goes over their plan with regards to the amount that they raise (starting on page 36). More funds raised generally means a larger team, more projects, and more business activity. Jelurida was established last year as a corporate entity to manage the development of Nxt and later Ardor. Before that, Nxt was developed as a volunteer open source project, without a legal entity behind it. This was problematic when trying for example to license the Nxt software for commercial purposes, and when having to protect the IP behind it. IGNIS ICO < > NXT ? When will the IGNIS snapshot take place? From https://www.jelurida.com/ico, “The Ardor Genesis Snapshot will be performed at least two weeks after the end of the last JLRDA sale round”. But no exact date has been announced yet. What happens to the NXT collected in the ICO for IGNIS? We will be selling most of the NXT for BTC and fiat, because the purpose of collecting it is to provide funding for the company. We have been very clear about that in the whitepaper. Some amount of NXT, up to 40 M, will be kept by the company. It seems like selling the NXT you receive in the ICO for BTC and fiat will make the NXT have a much lower value. Who will be buying the NXT from you? people who want to hold for the IGNIS snapshot? We have already sold most of the 24 M NXT collected in the first round, it didn’t crash the price. We expect people who want to participate in the next rounds, or didn’t have a chance to buy in the previous, to be buying this NXT. And at the end, indeed those who want to hold for the snapshot. But even after the snapshot, we believe NXT will continue to have value, and this value will probably become stable, as no major disruptions will happen to it anymore. What new functionality is present in IGNIS that was not present in NXT? What is the current status of development on ARDOR? When will that be a useable technology in production? It is running on testnet now. The multiple child chains framework is implemented and working, you can try it. We are planning a new testnet release some time before the snapshot, which will introduce some innovative features – smart phasing and asset control for example. The pruning and snapshotting parts of the Ardor design are currently being worked on, and will not be part of the initial release, they will be ready later. See the roadmap on our website for all details. What mechanisms would cause the rise in price of Ardor? What is Ardor used for? Ardor will only be used to provide security for the whole system, it is the token used in the proof-of-stake algorithm. It intentionally has very limited other functionality, as Ardor transactions by design must remain in the blockchain (and cannot be pruned like child chain ones). Having significant Ardor stake will allow users to run forging nodes, and collect fees from all child chain transactions (converted from native tokens to ARDR by their bundlers). I can understand that value if you get native tokens from staking ardor… but why would I want to get more ardor for staking ardor if there is no additional utility to it besides getting more ardor? It seems circular. what am I missing? For child chains to run, bundlers will need to exist to collect child chain tokens and then pay ARDR to the forgers to process the transactions. Any account can opt to be a bundler as long as they have ARDR and set the rate they want for accepting child chain coins relative to the ARDR paid out to forgers. Transaction fees paid out to forgers will be fixed based on the amount of data processed and/or the type of transaction and have a similar fee structure as that with Nxt ( `https://nxtwiki.org/wiki/Transaction_Fees` ). In terms of value, assuming all other things held constant, the more child chains on Ardor and the more activity on the child chains on Ardor, the higher the demand for ARDR as the need for it increases to handle the increased demand for transaction processing. So Jurlidia needs money to develop Ardor so it can try and sell sidechains to companies? That the tldr; ? Child chains can be useful not only for companies, but for the general public, even when there is a company behind a particular child chain. For example a pegged child chain, with token value fixed to fiat currency, maintained by a 3rd party business who charges commission on entry and exit from the system – but all users than can transact with this currency on the blockchain, denominating their transactions in it. And the Ignis child chain, for which the ICO is being conducted, will always remain decentralized and accessible to everyone. and please note that the Ardor child chains are not side chains. The difference between them is explained in our Whitepaper. What are the major industries/verticals that you are hoping would be using NXT? Banking and financial sectors, asset issuance and trading, voting (including shareholder meeting voting), crowdfunding. We have been in talks to several banks that are testing internally our technology, but since this is under NDA I can’t mention names until it becomes publicly known. Do you have any commercial partnerships/deals that you can talk about? If I understand correctly, you’re in the blockchain-as-a-service space so that would make Stratis, Lisk, Ark and maybe to some extent Ripple your competitors. Why would any business use Ardor instead of these other options? We believe that our parent – child chain architecture is currently unique in the blockchain space, and it opens the door for even more use cases and a greater interoperability between child chains. It also solves the blockchain bloat problem – which I don’t believe those other platforms have a solution for. Ardor is based on the tested and stable Nxt codebase, and has a very rich feature set which will be carried over to it from Nxt. Why do you think that NXT has been left behind in price, relative to new coins coming out in the past year? What are you going to do differently with IGNIS to make a token that people want to hold? Or will you focus on making money through corporate consulting use cases? The JLRDA MS tokens represent the IGNIS tokens you will get at Ardor launch. If a company is funded for developing the platform where your tokens are used, there is a much bigger chance that tokens will appreciate in value. I don’t understand the question. Ignis will be the first child chain on Ardor. The Ardor main chain will not have substantial features as it is intended to secure the Ardor network and not be a regularly-used chain. Ignis provides an unrestricted way for users and organizations to utilize the features of Ardor, such as creating an asset or setting up a decentralized poll. Transaction fees to do these transactions will be in IGNIS not ARDR. Other child chains will also have these capabilities but they may set restrictions on them. Since we are running our ICO on our own blockchain, it is using the Nxt wallet. It may indeed look different from the BTC and ETH client, but shouldn’t take long to figure out, and especially for the purposes of the ICO we added a separate page – accessible from the Ignis Token Sale link in the header, which really makes it easy. But do read the instructions on our jelurida.com/ico page, there is also a video showing how to do it, and we plan to post more instructions in a video or pdf too. And remember, only use the IGNIS Token Sale link from the header – do not buy any similarly named tokens/assets/marketplace goods, as unfortunately there have been scammers selling fake JLRDA or Ignis tokens. It means that it is open for everybody to use freely. Other child chains will be associated with a specific use case, a company or an organization behind them. Some of them may want to implement restrictions such as KYC for example…. Permissioned blockchains is something our enterprise customers ask for, as they want to be able to control who can connect to the blockchain (read access), who can send transactions (write access), and who can give or take such permissions (admin access). Some of this functionality will also be added to child chains that may need it. How will the next IGNIS sale be handled to avoid having whales scoop up the majority of coins before everyone else? Everyone has equal chance to participate in the Ignis sale, using our scheduled transaction feature which automatically submits their purchase transaction as soon as the sale offer is posted. And the batch will be split into 4 rounds of 20 M each, again to give users multiple chances to participate. So the technique one person used last time to get most of the tokens has been patched? Rather than patched, the Nxt Client now allows for everyone to place a buy order in advance, before the next batch of tokens is effectively placed for sale. So the tactical advantage of that person in the first few batches is not there anymore, since anyone can do it from the client. I’m not 100% sure how it works but it ends up being a lottery of sorts. Some users couldn’t get in, others could. A few users were able to get in even without the scheduler though, but that was rare. Well, at least from what people claimed on Slack. Thanks for tuning in, dear readers. That was an interesting and informative AMA from Jelurida. They clarified a lot of their plans and continued to bring attention to the IGNIS ICO. For our ongoing coverage of the ICO, we have our special report series and a weekly Nxter Newsletter, that follows blockchain trends and reports on the last week in the ever growing world of the blockchain. Follow us on Twitter for important breaking updates as they occur. Stay informed and keep reading. Help us grow and help us continue to provide excellent and focused coverage on the ever growing blockchain space by rewarding us for our efforts: Donation address NXT-TK9J-MEKH-MUP9-HFCH2. The work on Nxt and the Nxt NRS client continues. The Nxt core developers have just sent a list of the new features which will be implemented in the upcoming 1.8 release, expected to be released in April. Run the client wallet as a desktop application. Until now when starting the NXT server, the user had to wait for the server to start, then open a browser and point it to http://localhost:7876 to start the browser wallet. Starting from this release, starting the NXT server would immediately launch a desktop wallet application based on the same design of the browser wallet. Server side component which automatically funds specific accounts based on various criteria to make sure the account owners always poses enough NXT to transact. You can monitor Nxt, Asset or Currency. When a monitored account balance becomes less than the threshold amount, a transfer transaction is initiated to transfer Nxt/Asset/Currency from the funding account to the monitored account. Multiple account monitors can be active. Monitored accounts are identified by an account property. The account property must be set by the funding account owner. Open the wallet on a specific page or modal. This feature enables linking into a specific page or modal of the client web wallet from an external web site or link. In parallel with the above, Nxt lead-dev, Jean-Luc, has started working on the Nxt 2.0 design. Nxt Foundation is approaching Academics and Universities, giving talks about the Nxt blockchain and how to run Nxt nodes and participate in the Nxt ecosystem. Damelon gives us an update. Some of them will also be at the next Bitcoin Wednesday, which will by the way feature Poofknuckle speaking about Freemarket! Write down the 6th of April in your agendas! Next up will be speaking to design students at the same university. Feel free to refer people to us if they are interested or if you would like to set up a local chapter of Nxt, too. We are always willing to help. Local chapters are a great way to socialise and inspire and take little to no time to set up. On 22 April 2015 The European Securities and Markets Authority (‘ESMA’)1, the equivalent of the US Securities and Exchange Commission, issued a call for evidence regarding ‘Investment using virtual currency or distributed ledger technology’. Nxt is the example of the digital currency platform ESMA used in its ‘call for evidence’ to illustrate how distributed ledger technology works. ESMA has now published the 18 responses it received, only two of which were made on behalf of cryptocurrencies: Nxt and FIMK (which is based on the Nxt blockchain). No response was made on behalf of Bitcoin, although one was made in support of it by an exchange called Paymium. No response to the ESMA call for evidence was made on behalf of (or even in support of) Ethereum, Counterparty, MaidSafe etc. One can of course understand the lack of engagement on the part of the majority of cryptocurrencies (being, as they mostly are, opportunistic Bitcoin clones), but for Bitcoin itself and other serious players such as those mentioned above not to have responded is surprising. 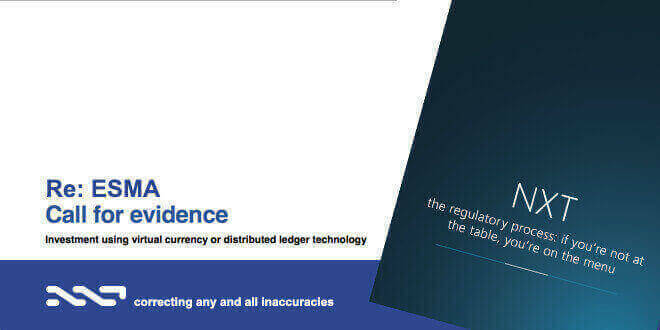 The cryptocurrency industry needs to fully engage in the regulatory process to make sure that the potential for independent, genuinely decentralised, blockchain technology to democratize financial power is not compromised by a failure to challenge incompleteness or other inaccuracy in the information relied on by regulators. It would not of course be reasonable to expect a mainstream commercial banking group to argue in favour of a genuinely independent decentralised financial ecosystem. Rather, it is for the proponents of that technology to correct any inaccuracies and supply any omissions in how others (doubtless unintentionally) represent it, but to do that they need to get involved in the consultation process. Thus, by way of correcting certain inaccuracies and otherwise filling in the gaps, we shall deal with each of Intesa’s three claims in turn. Intesa Sanpaolo claims that Bitcoin’s Proof of Work (PoW) method has been empirically and theoretically validated and that Nxt’s Proof of Stake (PoS) method has not. Theoretically, the PoW and PoS consensus mechanisms are neither better nor worse than each other, merely different. For a description of Nxt’s Proof of Stake model, see pages 5/6 of Nxt’s Response to ESMA. The initial Satoshi Nakamoto paper (Bitcoin: A Peer-to-Peer Electronic Cash System) only investigated the consensus algorithm security against private branch attack. Since then other potential attack vectors, for example selfish mining, have been discovered. The selfish mining strategy provides unfair profit for the 33+% adversary and that’s dangerous in the long-term, but not critical for consensus itself. Most recently, in November 2014, the formal model (of a more or less appropriate quality) was published: The Bitcoin Backbone Protocol: Analysis and Applications. Whilst Proof-of-Stake formalization is currently still behind that of PoW it’s now developing faster than PoW’s formalization and therefore catching up quickly. The first implementations of pure PoS appeared in the second half of 2013, with the first investigations started in the first half of 2014 (Math of Nxt Forging by mthcl) following which Consensus Research made simulations2 and wrote articles3 about the few types of known attacks. Consensus Research are currently in the process of discussing deeper formalization with colleagues from mathematics and theoretical computer science. Turning next to Intesa Sanpaolo’s claim that Bitcoin’s PoW method has been “empirically validated” and that Nxt’s PoS method has not. We assume “empirically validated”, as applied to Bitcoin’s PoW and Nxt’s PoS technologies, is intended to mean: proven to work in practice in accordance with their objectives. Since both technologies demonstrably do work in practice in accordance with their objectives, at least up until now, they can therefore both be said to have been empirically validated: Bitcoin as a payment system and Nxt as a financial ecosystem which includes a payment system (see: Nxt Core Features, as described on pages 15/16 of Nxt’s response to ESMA). But blockchain technology in general is still in its infancy and faces a number of significant practical challenges, including that of blockchain bloat and scalability – a problem which, at some stage, will have to be addressed and resolved (if they are to remain viable) by all blockchain technologies, including of course Nxt itself. However, due to the large and (as currently anticipated) increasing number of transactions being processed through its network, Bitcoin now needs to address that problem as a matter of urgency and it is running out of time in which to do so. It remains to be seen whether the Bitcoin network as a whole will accept or reject what in effect is a hard fork or indeed whether the network will split, resulting in the creation of two versions of Bitcoin, thereby crashing the value of one, if not both. over-dependency on a few manufacturers of the prohibitively expensive ASIC mining equipment. high energy consumption involved in miners competing for blocks to validate, making the process environmentally very unfriendly. The unqualified use of the word “problem” might suggest to the uninformed reader that Nxt, as a PoS system, has actually been subjected to a Nothing-at-Stake attack. In fact, it has not. PoS forging algorithms: multi-strategy forging and related security issues. B. The number of possible forks grows exponentially over time. A Nothing-at-Stake attack could therefore only be made by a multi-branch forger contributing to N best forks and since it’s impossible to predict whether 2 forks will be within N best forks from the exponentially growing set for k confirmations (a significant imponderable), this attack vector is inherently unpredictable making it very difficult to enforce in theory, let alone in practice. C. The correlation with stake size is still the open question but, contrary to what has been stated by Vitalik Buterin,7 it’s nearly impossible to attack a proof-of-stake currency with “1% stake even”. D. A solution to make the PoS consensus algorithmically enforced (as in PoW) is theoretically possible. E. The N@S simulation tool is published here: https://github.com/ConsensusResearch/MultiBranch for people to carry out their own experiments. Unfortunately, there is not currently any easy-to-understand (i.e. non-technical) visualization of the non-feasibility of a Nothing-at-Stake attack. In practice, the Nxt forging algorithm provides a defence against a Nothing-at-Stake attack in the form of what has been termed Transparent Forging (TF), the main feature of which is the ability to predict which account will generate the next block. not accepting a forged block if its timestamp is more than 1 second after the predicted time to forge. Improvements to take effect in release 1.7 are a minimum effective balance requirement of 1000 NXT for an account to be eligible to forge, and preventing very long blocks by an improved base target adjustment algorithm. Elements of the TF concept which have not yet been implemented include: achieving higher transaction processing speeds by sending transactions directly to the node expected to generate the next block, and reducing the time interval between blocks based on the knowledge of the next few predicted block generator accounts. Further protection against any ‘Nothing at Stake’ attack can be achieved by temporarily reducing to zero the forging power of accounts which should have generated a block but skipped their turn. At present though, the currently implemented components of TF are considered sufficient to protect against such an attack. Those TF elements mentioned above which are designed to increase the possible transaction throughput will only be implemented once the need for it appears, and certainly not until blockchain pruning has first been implemented. At their current level of technological development, no blockchain (arguably Bitcoin least of all) is 100% decentralised. The Nxt protocol includes a rolling checkpoint whereby any block submitted at a height more than 720 blocks behind the current block height is automatically rejected. This in effect limits chain reorganization to the most recent 720 blocks. The Nxt protocol also includes some hard-coded checkpoints (e.g. at Block 333,000). Their purpose is to prevent any possibility of a so-called “history rewriting attack” in which somebody buys redundant early stakeholder accounts in order to try to build a complete alternative blockchain. Another reason for the hard-coded checkpoints is performance optimization, specifically: improved blockchain download speeds for peers downloading the blockchain from scratch, the improved speed being due to the fact that they don’t need to check with multiple peers in respect of the blockchain before the latest hard-coded checkpoint whether or not the current fork they are on is the best one. Most importantly, such hard-coded checkpoints are only added at blocks more than 720 blocks before the current (at the time of adding the checkpoint) last block. At this point, the consensus has already been reached and set in stone by the rolling 720 block checkpoint limit, therefore the hardcoded checkpoint does not influence the decentralized consensus. Whether or not these validation features can be regarded as “centralised” is debatable and in any case neither are critically needed for blockchain survival. Nxt does not rely, as a matter of technical design, on centralisation of currency ownership or node distribution and the authors of this article are unaware of any PoS model (or indeed any other blockchain consensus mechanism) that does. Nxt uses a pseudo-random algorithm to predict the next block generator i.e. forger, by calculating a hash value which should be lower than a target value using the combination of the account stake, time since last block, signature of the previous block and the forger account public key. Since all these parameters are publicly available, each node can predict, with reasonable accuracy which account will forge the next block. It might be that what Intesa Sanpaolo meant to say in its ESMA response was that in certain PoS models a relatively small number of accounts are in practice currently responsible for the majority of the work of validating blocks and earning the transaction fees for doing so. 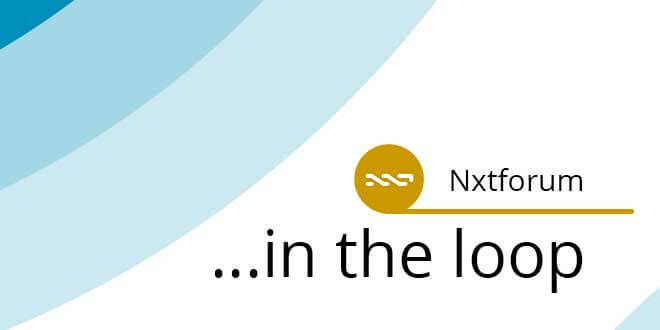 In the case of Nxt the original distribution of the currency was made to the 73 subscribers who participated at the start and as a continuing, albeit slowly improving, legacy effect of that relatively small distribution, it is true to say that a large percentage of the Nxt currency has been owned by a relatively small number of account-holders. Nxt critics have long sought to portray this as an inherent irremediable weakness of the system. It is not and over time, as more people get involved in Nxt, the number of accounts will continue to increase and ownership become more diffuse. In the meantime, having a large percentage of the currency concentrated in a relatively few hands has had some advantages for the system, not least of which is the relative absence of speculative manipulation (i.e. pump and dump) and the funding of development and marketing that would not have happened but for the generous bounties made available by large Nxt account holders. Meanwhile, Proof of Stake blockchain technology, of which Nxt is the leading example, continues to innovate and improve. The features planned for the next hard fork (Release 1.7) are coin shuffling, account control for phased transactions (whereby an account is only allowed to submit phased transactions that require the approval of one or more other accounts), more stable block times and various usability enhancements. A security enhancement, 2FA using hash chains, will be added in Release 1.8. Nxt core developers will also be adding features that make it easier to use the platform in regulated financial environments, for example “account properties” which can be used to endorse accounts as having been verified or authorized by third parties (to be implemented in Release 1.7) and “controllable assets”, designed to satisfy legal requirements that only authorized accounts can purchase certain types of asset (planned for Release 1.8). Many thanks to kushti, Jean-Luc, Riker, mthcl and ChuckOne who all reviewed and variously commented on and contributed wording to the article. Kushti is currently discussing joint papers possibilities with colleagues and preparing a paper to be published in a peer-reviewed journal. “…people will just stop sending transactions if they notice that their transactions are not getting confirmed in a day or two or three or a week. The nature of transaction confirmation and the nature of how blocks are found softens that a little bit so every once in a while we’ll get a period of time when transactions really pile up because blocks are found more slowly than normal and every once in a while we’ll have a period of time where lots of transactions get confirmed because we’re finding lots of blocks. It’s just the nature of the randomness of mining that we get this natural variation in how many transactions are confirmed in any given period of time and so I think that that natural variation plus people react so if you’re sending transactions with very low fees that aren’t getting confirmed well then you’ll bump up your fees if you can and if you can’t bump up your fees because transactions get more expensive then you find some alternative and that alternative may be: well I won’t use Bitcoin, I’ll find some other way of doing what I want to do. 5. Bitcoin XT vs Core, Blocksize limit, the schism that divides us all. As at 24 November 2015, there were 410 Bitcoin XT nodes (supporting bigger blocks) out of a total of 5018 nodes in the Bitcoin network. Source: http://www.xtnodes.com/ Accessed 24.11.2015. “It Will Cost You Nothing to ‘Kill’ a Proof-of-Stake Crypto-Currency“ Nicolas Houy, University of Lyon, January 2014. BitCoin Talk: Nothing-at-Stake & Long Range Attack on Proof-of-Stake (Consensus Research). Nxt Forum: The Paper on Long-Range attack & Nothing-at-Stake. Mofo Wallet, a NXT / FIMK cross platform wallet has just been released by FIMKrypto Community and DGEX. Right now Mofo Wallet supports NXT and FIMK, but the plan is that it will also support other crypto currencies (starting with BTC). Mofo Wallet has a simple user interface that allows sending/receiving money and encrypted messages, and it even walks new users through setting up accounts and activating them. Mofo Wallet is available as a hosted online wallet and as a locally run standalone client. The latter will run as a FULL NODE if you set it up as a local server (this is done by simply clicking a button inside the Mofo Wallet! ), thereby enabling you to support the Nxt / FIMK networks while forging for fees for your own accounts. Forging requires your account’s secret phrase to be sent to the server which you should only do if you are running the server on localhost. After just a little snooping around in the wallet, it’s clear that Mofo is very ambitious in its scope: You currently have a built-in NXT and FIMK faucet (sponsored by DGEX), block explorers, multi account control (on all supported blockchains), wallet.dat backup and a mass payment functionality plugin (just upload your CSV sheet to the wallet and go) and forging support. And hang on just a minute, that’s not all: Mofo also enables software authors to write plugins in the form of distributed applications that have full access to the FIMK and NXT block chains. 5. Encrypted, freely named wallet.dat file removing the need to expose NXT / FIMK passphrase ever after creation. 6. Wallet file can be used locally or remotely (compatible with the hosted version at http://mofowallet.com). 7. Send and receive messages (stored in blockchain). 8. Send and receive payments. 9. Built-in faucet for both NXT and FIMK new accounts (through plugin). 10. Mass payment functionality (through plugin). 11. Run local server(s) (start/stop server(s)). 12. Forging (requires a running server process). 13. Theme switcher (19 themes available). 14. Public key announcement automation support. 15. Contacts database integrated with payments and messages. MOFO – a wallet or a platform? Development for Mofo Wallet is in a very early stage, expect many more plugins to be developed and added. The plugin based architecture of the wallet code allows anyone to write plugins for Mofo Wallet. We hope to kickstart a new breed of distributed applications that live on the second generation blockchains. Building applications on a blockchain offers 1.payments 2. messages 3. encryption 4. trading and much more decentralized and distributed computing power for everyone (almost) free of charge. For an example click here to open a sample plugin that offers strong customer authorization through use of blockchain technologies like trusted blockchain storage and encryption to protect privacy sensitive information. FIMKrypto is the Finland based non-profit organization and also the name given to the cryptocurrency which it launched in early July 2014. Prior to FIMKs launch, the association received 533 Bitcoins (approx. 250 000 EUR) in donations from domestic and international donators. The association coordinates the FIMKrypto project and is organizing a national basic income plan, to be paid in the cryptocurrency. FIMK is currently traded on the DGEX and CCEDK crypto currency exchanges, as well as on the Nxt Asset Exchange.